The smell of candied roasted almonds is the smell of december in Copenhagen. Walking down the pedestrian street Strøget in the heart of Copenhagen, you will see vendors selling these almonds. I have never tried making candied roasted almonds, but it's really easy and you only need 3 ingredients. But be aware - they are highly addictive. Line a baking sheet with parchment paper, for cooling the almonds. Pour all ingredients in a skillet or saucepan over medium-high heat. Stir so all the sugar gets wet. Bring to a boil, stir constantly until all liquid is evaporated and you have crystallized sugar in your pan again. When the sugar starts to melt again, turn down the heat to medium and keep on stirring. Now the almonds will be covered by the caramelized sugar. Pour the candied almonds onto the baking sheet. Separate the almonds if they stick together. Let them cool completely. 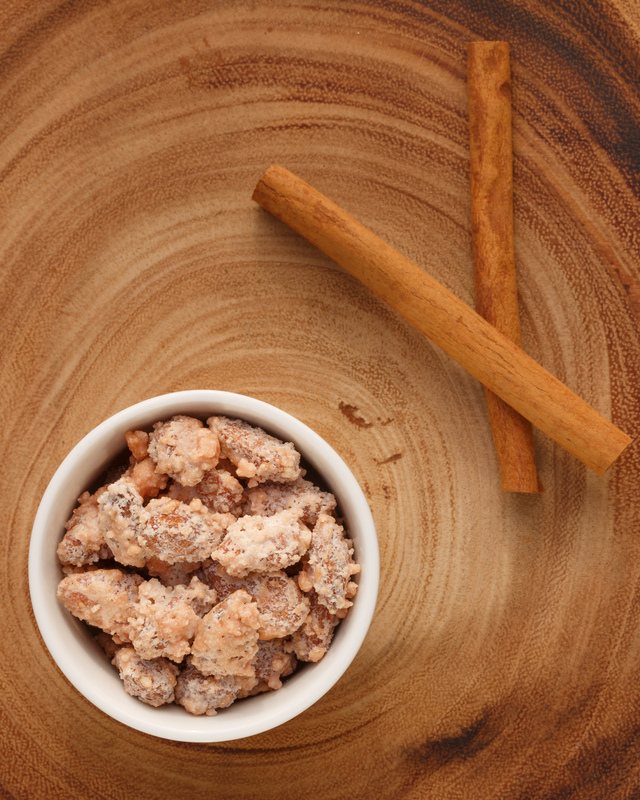 Enjoy the sweet and crispy treat.